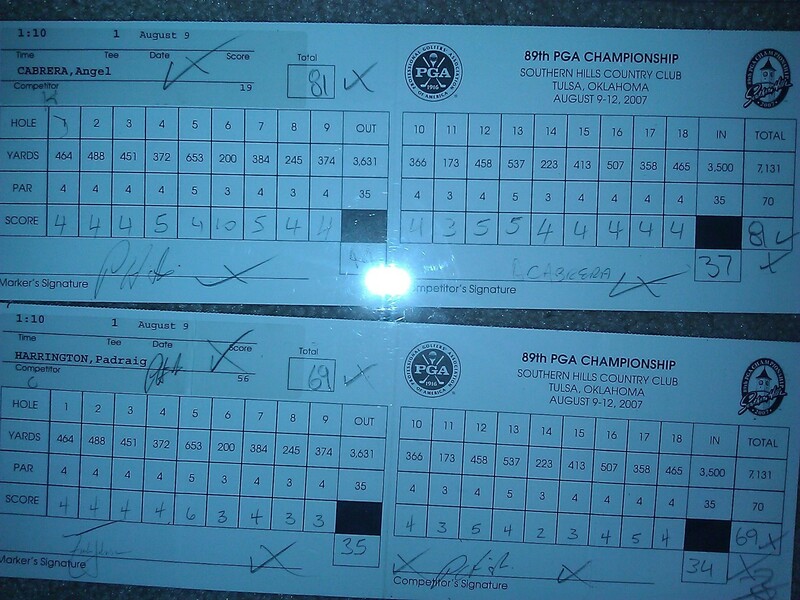 I love these scorecards from the 2007 PGA This is from the 3 Major champions from 2007 grouping. Each PGA for the first 2 rounds the PGA pairs the major champions together. Angel fresh off of his 2007 US Open victory scored a 10 on the Par 3 6th hole. Something tells me that that Angel was a little upset with that 10!